We all pretty much know where the “WHAT’S IN THE BOX? !” thing came from and how it started, and I was thinking for a while if there was a way for me to spoof the specific scene. Yes there is. 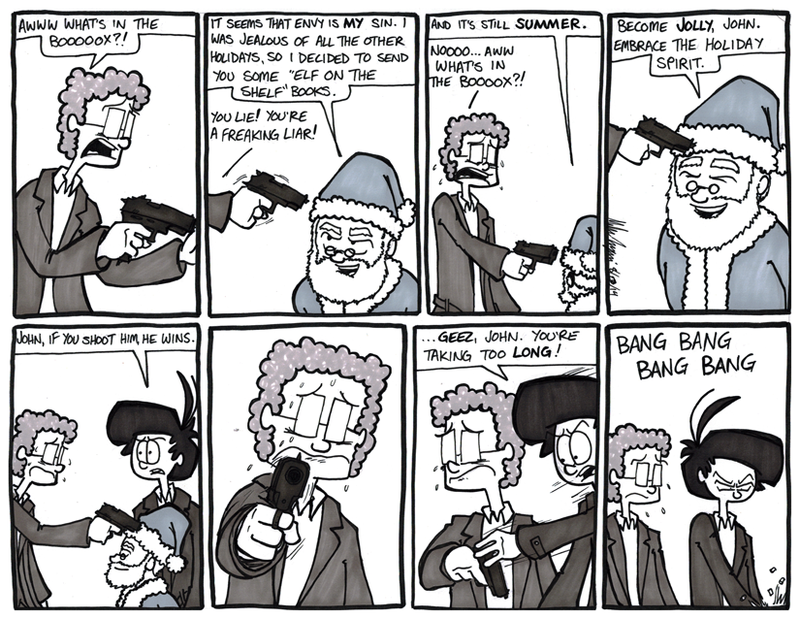 With holiday merchandise invading my store, and it’s not even Fall, I could see this scenario actually happening. It makes me think that this Santa has done some incredibly disturbing things to the Easter Bunny, the New Years Baby, Jack-o-Lanterns, anything not Christmas related must have met a violent, disgusting end. So naturally John and Mike would have to track him down and be pushed to the edge…and something? I only know the movie Se7en tangentially. I’ve never actually sat down and watched it from start to finish.